I like to be connected all the time, but I don’t like to be tied to one place to maintain my connection. This means when I’m working on “mobile-friendly” work — writing, researching, communicating, etc. — I like to take it with me.I might start something on my Mac, continue it on my BlackBerry and then finish it up the next day on my PC. For example, I’ve worked on this post from both of my computers, while I was waiting at the doctor’s office last week, and during a road trip over the weekend.Because I rely on my BlackBerry so much, I have a number of apps I use on a regular basis that help me get more done, quicker. Here are seven of my favorite apps that boost my productivity. 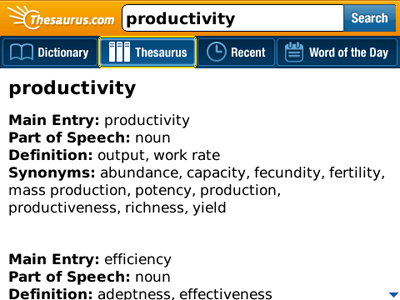 A dictionary and thesaurus app that includes more than 500,000 words, definitions and synonyms. The app also features phonetic and audio pronunciations, spelling suggestions and more. Documents To Go is a fully functional mobile office suite that allows you to view, edit and create Microsoft Word, Excel and PowerPoint files. The newest version of the software allows for Windows desktop file synchronization, too. I wrote a post not too long ago on how I use Evernote to manage ideas. 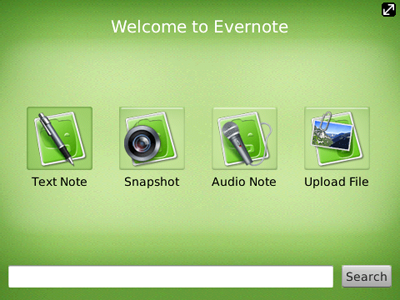 The mobile Evernote app allows you to access and edit your notes, create new notes, search, use tags, etc. 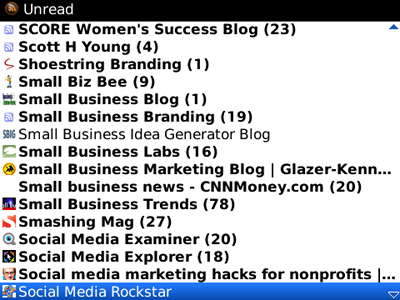 This new app is the first native Google Reader client for the BlackBerry that syncs with Google and makes reading feeds much more user-friendly. The app provides a simple and uncluttered home screen, real-time status changes, tagging, sharing and more. 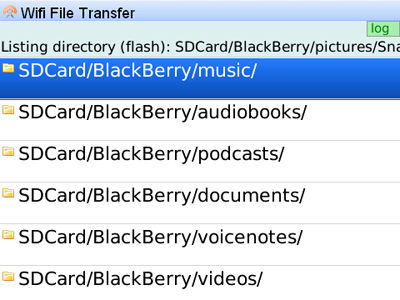 This app lets you transfer files from a PC or Mac directly to and from your WiFi BlackBerry using just your browser. You can view the BlackBerry file system from the browser and rename, delete and transfer any files to and from device’s internal memory or SD card. The WordPress for BlackBerry app allows you to write posts, upload photos and videos, edit pages, and manage comments. Both WordPress.com and self-hosted WordPress (2.7 or higher) sites are supported, and you can access multiple WordPress blogs from the app. 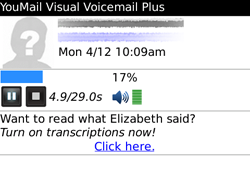 YouMail is visual voicemail so missed calls are no longer forgotten once the new message indicator goes away. The app allows you to see who called, from where, and even their picture, and you can have your messages sent to you via text or email. To become even more productive, check out Alyssa’s post on the Top 5 Firefox Add-ons for Boosting Productivity. Of course there are thousands of BlackBerry apps, and I’m ready to discover some new options to help me become even more productive. What apps top your list?